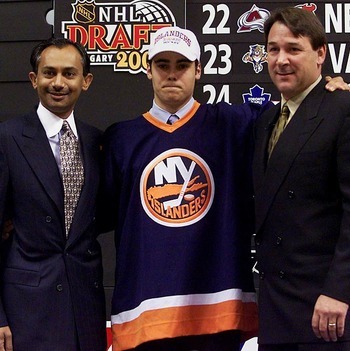 a wrong turn after Dipietro put signed his John Hancock on his record deal. Despite his age Dipietro soon began to have annual hip and knee surgeries that many attributed to his butterfly style of goaltending. The knee surgeries caused Dipietro most of his starts as he became more likely to be on the DL then between the pipes. When he was sidelines in 2012 again he had appeared in all of 47 starts with only 14 wins since he signed his record deal. What made that even worst was that he was paid 18 million dollars during that period and averaged 1.2$million dollars per win. Since being drafted in 2000 the Islanders have only had three winning seasons and have struggled to find a suitable net minder between the pipes. While the Islanders are moving in the right direction, they’re currently looking to overtake the eighth seed in the Eastern Conference and make the playoffs, Dipietro won’t be apart of it. Many Islander faithful partially blame the franchise’s move from Nassau to Brooklyn on the lack of success over the past decade, and Dipietro is at the root of this. 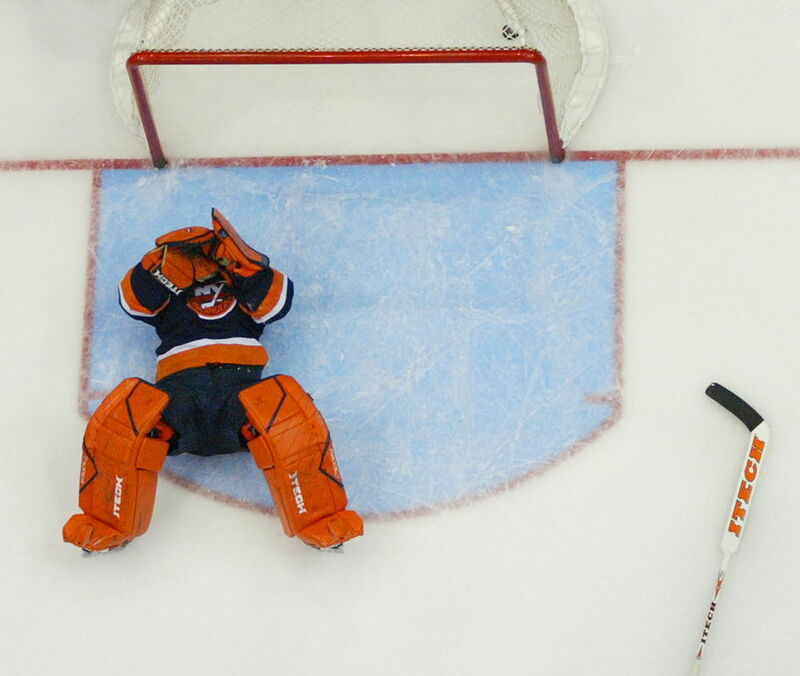 Despite his injury history, and lack of success in the NHL Dipietro is trying to make a comeback. A great piece on Dipietro’s comeback is here (click link), which I highly recommend. 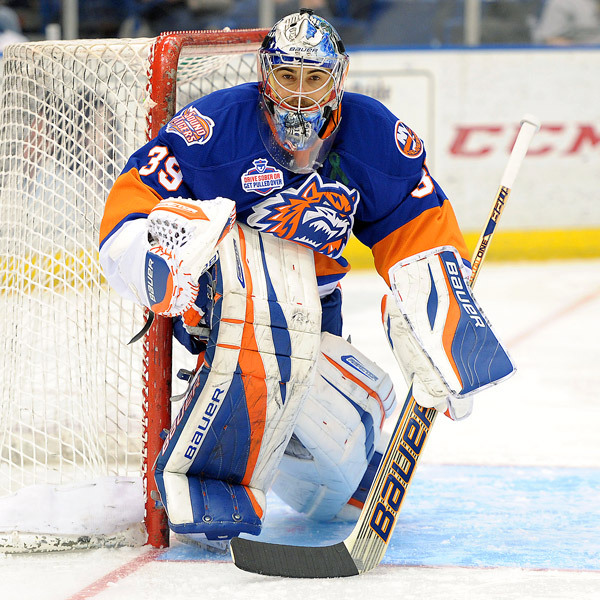 Right now Dipietro is trying to rebound with the Bridgeport Sound Tigers in hopes that he can get back to the NHL. While he’s had mixed success at Bridgeport, he’s 5-5, Dipietro is trying to stay positive and rebuild his game from the ground up. Despite everything that’s happened in his life, there is no question that Dipietro has the talent and the drive to be one of the top goaltenders in the NHL again. Personally I hope Dipietro can make a comeback and that a team will look past his contract fiasco and take a shot on him. I can relate because my body also betrayed me and ended my career prematurely. While concussions ended my career, I know what’s it like to have your body break down when you still have so much to offer. Hopefully Dipietro can make it back to the NHL and show the untapped potential he once showed as the number 1 overall pick in the draft. While he’s got a long road to make it back, Dipietro will have the opportunity to redeem himself and go from bust to NHL star once again.